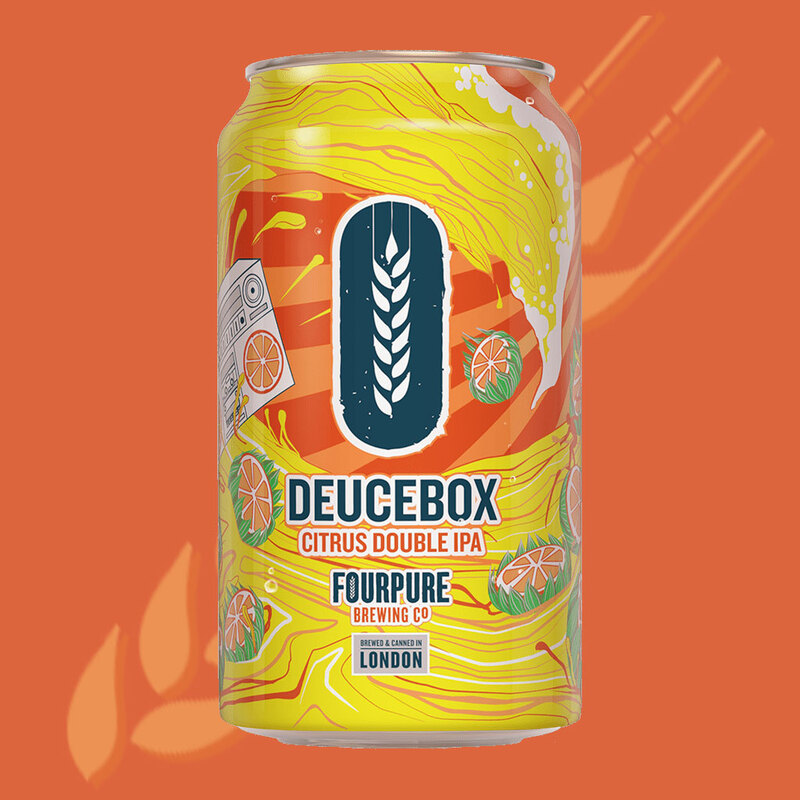 Here’s your cheat sheet for Fourpure’s Deucebox Double IPA. Featured in BeerBods Plus box 4 on 8 March 2018. Find the brewery on Twitter at @fourpurebrewing and on Instagram at @fourpure. Serve this beer at 7°C to 10°C; at least an hour in the fridge, maybe up to 90 minutes. As ever, be wary of over-chilling your beer. More chill means less flavour. You can learn more by reading my post on recommended serving temperatures. I expect most of us know the drill with this kind of beer pretty well by now: big malts, big hops – in this case leaning on the citrus button more than the tropical one – leading to a big, juicy flavour. This is supposed to be Juicebox IPA turned up to 11, but does it live up to its little brother? Fourpure suggest you try Juicebox with cheesecake, a burger, a fruit salad or glazed ham; these should do very nicely for Deucebox too. It ought to hold its own against a curry with all those hops going on. Read more on this beer from BeerBods and FourPure.